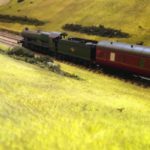 Using electric point motors for a model railway can get expensive. But if you just want to remotely control your points there’s an alternative, cheaper, way. 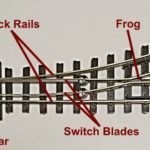 If you have a layout with more than a few points (or turnouts for American readers) equipping the layout with electric point motors can get expensive. Add in CDUs – capacity discharge units – to give a soft smooth switching operation and electric switches and the cost quickly mounts up. The alternative is to use a manual system – wire rods connecting between the switch and the point. Changing the switch position pulls the rod which activates the point. Think of bicycle brakes: pull the handle, wire moves, acting on the brakes. The real thing: point rodding and signal cabling going into a signal box on the North Yorkshire Moors Railway. This is how real – prototype – railway points once worked. 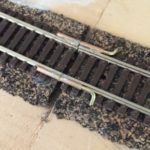 Take a close look around old railway lines and it won’t be too long before you see wires, rods and cranks running from the points, alongside the track to trackside levers or the signal box. The picture to the left shows just such a system, with the rods entering a signal box, in use on the heritage NYMR. 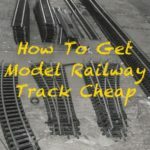 The principal is exactly the same so if you use such a system to manipulate the points on your model railway not only are you saving yourself money but you’re staying true to the original workings of the railways. Making such point rodding is a case of finding suitably stiff wire that won’t stretch or bend when pulled and pushed; tubing to protect the wire and hold it in place; a manual switch or pull bar and a mechanism to change the direction of the wire, taking it through 90 degrees for example. The wire goes from the tie bar on the point (the moving bar with the hole in it), through the tubing, to the switch . This video shows how one modeller has does it but there are plenty of other approaches. Unless you have a particularly well equipped toolbox and work bench you probably won’t have the tools and parts to make this but thankfully kits with all the parts are available so it’s just a case of assembling them. The video below shows how these kits work and how easy it is to install them. The Antics model shop chain sell these Gem kits and they’re available via their online store. Personally, although the Gem kit is easier I’d enjoy the challenge of making it from scratch. This kit is OO scale so won’t look right on N scale layouts – the angle cranks especially – but watching the videos above will hopefully give you ideas as to how to make something similar in a suitably scaled down form. I’d love to hear how you get on if you use the Gem kits or make your own. 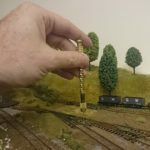 Lastly, if you use electric point motors but want to have cosmetic point rodding so your layout looks authentic visit Brass Masters. They offer all the parts in etched brass. 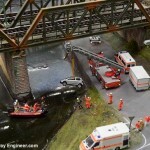 They’re not suitable for actual operation but will make any steam layout look very realistic. I am considering using this system for a section of a future layout, partly to keep expense down and I like the idea of manual control.